Provides an introduction to the diverse subject area of experimental design, with many practical and applicable exercises to help the reader understand, present and analyse the data. The pragmatic approach offers technical training for use of designs and teaches statistical and non-statistical skills in design and analysis of project studies throughout science and industry. 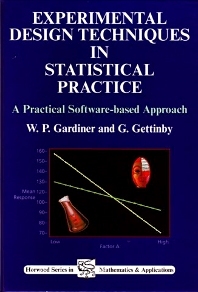 Introduction; Inferential data analysis for simple experiments; One-factor designs; One-factor blocking designs; Factorial experimental designs; Hierarchical designs; Two-level factorial designs; Two-level fractional factorial designs; Two-level orthogonal arrays; Taguchi methods; Response surface methods; Appendices: Statistical tables; Answers to selected problems; Bibliography and index.